CARFAX 1-Owner, Reliable, Low MILES - 28,331! SV V6 trim, Magnetic Black exterior and Steel interior. REDUCED FROM $23,500!, Priced below Kelley Blue Book!, FUEL EFFICIENT 22 MPG Hwy/16 MPG City! 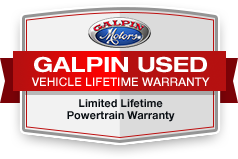 Bluetooth®, CD Player, Brake Actuated Limited Slip Differential, Aluminum Wheels, Satellite Radio, iPod/MP3 Input, Comes with Galpin's Lifetime Used Car Warranty, KBB.com explains "The New 2017 Frontier boasts some serious off-road chops.". All figures are EPA estimates. Actual mileage will vary. Kelly Blue Book values are calculated based on the current Retail Book. Pricing analysis performed on 4/18/2019. Fuel economy calculations based on original manufacturer data for trim engine configuration. Please confirm the accuracy of the included equipment by calling us prior to purchase.